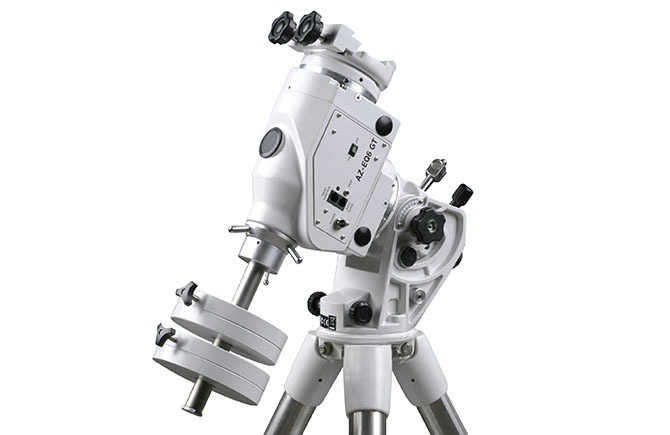 The Sky-Watcher AZ-EQ6 SynScan mount gives optimal stability and pointing accuracy for a wide variety of heavy professional photo and video equipment. 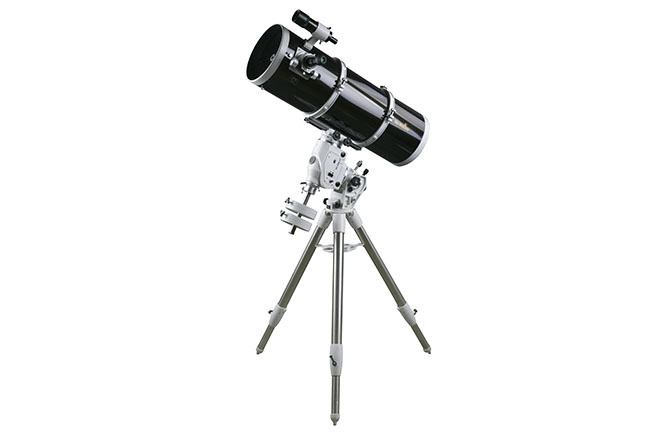 It is a hybrid mount with alt-azimuth capability for general use and equatorial capability for astrophotography use. Supplied with a SynScan handset with dual AZ/EQ firmware, it can automatically find and track 42,900+ celestial objects with its database. AZ-EQ6 SynScan is capable of carrying heavy-duty photographic equipment for professional shooting and video recording. It is a very efficient transportable mount weighing only 15 kg, for a load capacity of 20 kg (counterweight excluded). Permanent periodic error correction(PPEC). 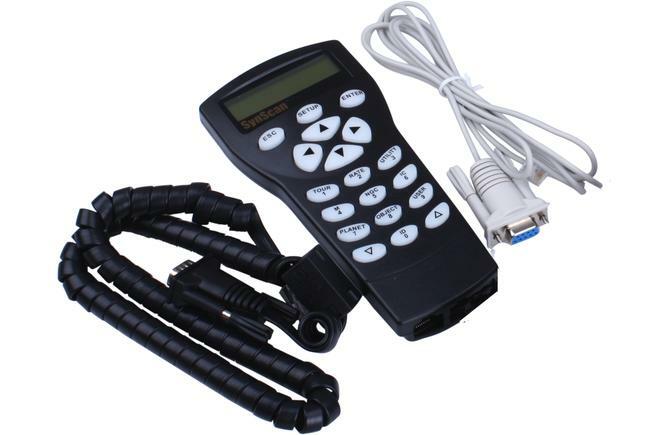 PPEC can be trained with Autoguider or PC. Belt drive - Super smooth PE curve. Low backlash, silent slewing. DSLR Electronic Shutter Release Port for batch exposures of astrophotography. 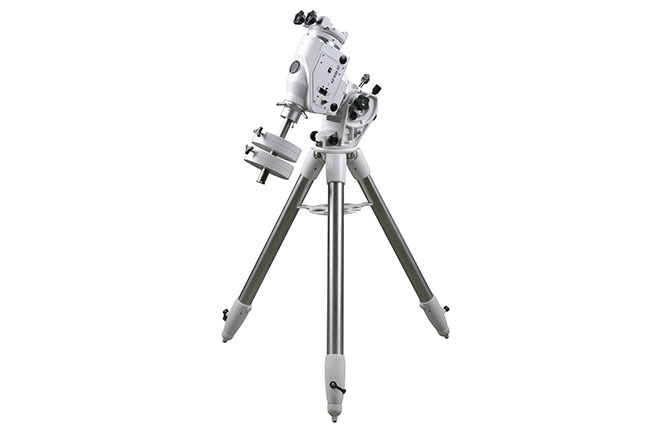 Include two dual-fit (45mm/75mm) saddle for mounting two telescopes. New motor controller with higher torque and accuracy. 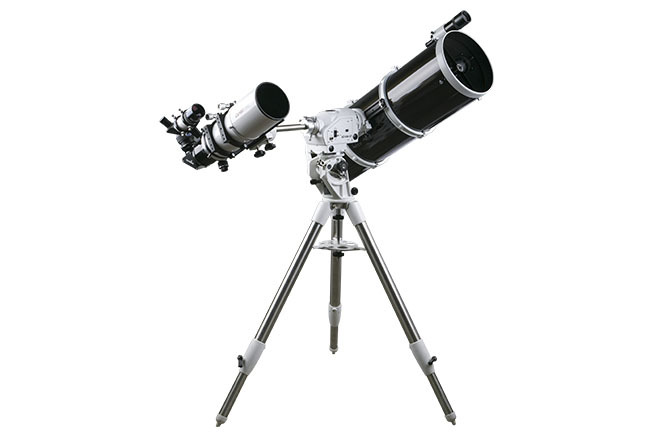 "This hefty mount can operate as either an altazimuth or an equatorial, promising accurate GoTo and tracking. We put in through its paces."